The Silly Season is upon us. Stores have had their decorations up for months, the shopping centres are overrun with …. “eager” shoppers and traffic is more harrowing than usual. So how does one step away from all the hooha and just get into the spirit of the season? Once I get past the “half way through December” mark, I like to put some energy into getting into it. As we’re there, I thought I’d share my little ways of getting myself swept up with the fun side of Christmas. First thing I need is a good soundtrack for the season. 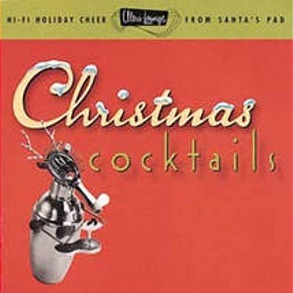 I really can’t go past the ‘Ultra Lounge Christmas Cocktails’ compilations for the best vintage music mix. Sure, I have lots of single artist music, but the Cocktail CD’s are just what I need for a bit of seasonal mood setting. From soft and soothing to completely funky ala cha cha. Really makes me want to swan around in a red wiggle dress, holiday hostess apron, kitten heels and a martini. We like to get the tree up in the first week of December. Then it’s done and we get almost a full month’s enjoyment out of the pretty lights. We haven’t done many other decorations through the house in years past, but I’m sure as The Boy starts going through school, there will be projects brought home that must be put up. 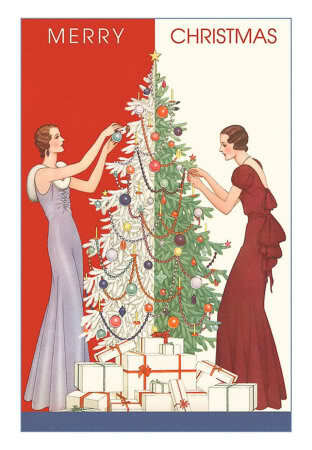 I’m also sure that there will be things I make especially to add some festive flavour in years to come. Each year I tend to make a rather large mess in the kitchen, from lavender shortbread, gingerbread men, chocolate fruitcake truffles and the like. This year, because we’ve had so much going on I told The Husband that he could choose ONE thing for me to make. He chose the truffles. So this coming weekend, I’ll be donning the baking apron and getting my hands chocolatey. 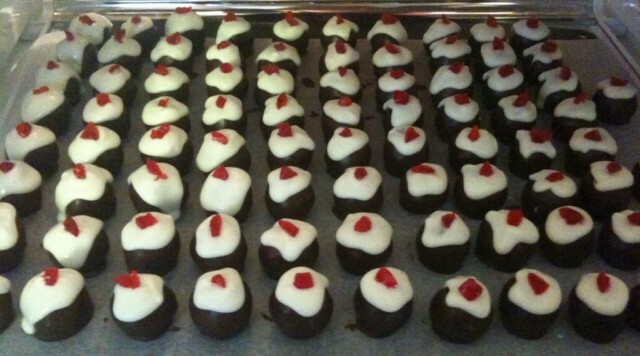 Having a candy dish of these truffles out to nibble on, is just TOO decadant! This is the big one. Gone are the days where I will rush around at the eleventh hour to finish or find the perfect gift for someone. I try to have a list started at the start of November and then work to that. This year was the year that most gifts were hand made, so making sure I was all prepped and ready to go. I’m happy to say that it has been the least stressful gift season to date! Having it all done by the 20th, gives me 5 days of being able to just relax and enjoy. So that’s how I do it. How do you get yourself feeling all ‘in the season’?